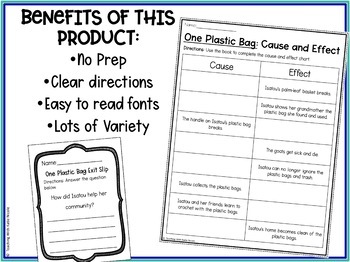 Are you looking for resources to use to help your students become more environmentally conscious? 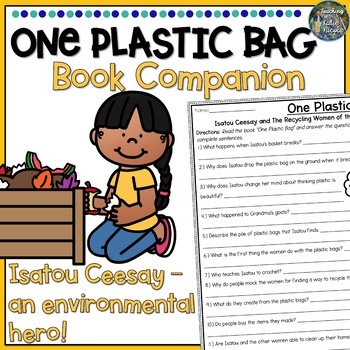 Maybe a read-aloud and resource to use for Earth Day or Earth Month? 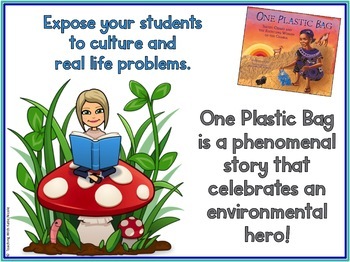 One Plastic Bag by Miranda Paul is an amazing picture book about the women in the Gambia who find a way to solve their countries plastic problem. They empower others and find real life solutions to help their communities. What is included in this product? Who is this product for (what grade levels)? This product was created for my third grade students. 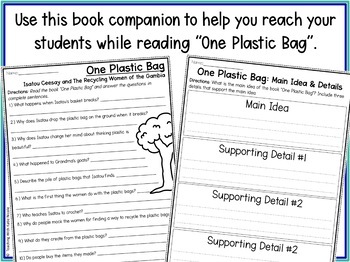 However, it could also be used for students in second or fourth grade as well. This resource was created with you and your students in mind. Pages have easy to read fonts and simple to follow directions. Even after editing and using this product with my own students, mistakes may slide past me. Please send me a question on my TpT store or send me a quick email and I will fix that for you as quickly as I can. Don't forget to follow me so you can get notified when new products are uploaded. New products are always 50% off for the first 48 hours they are posted!